Wallington, Cambo, Morpeth, Northumberland, NE61 4AR. 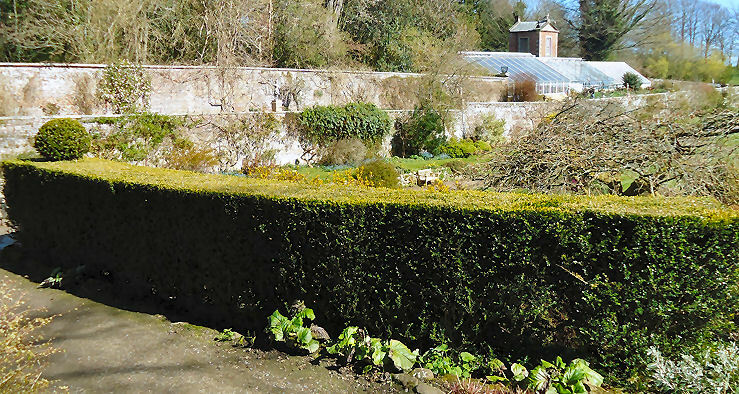 The yew hedges at Wallington are in the walled garden which is across the road from the main house and grounds. 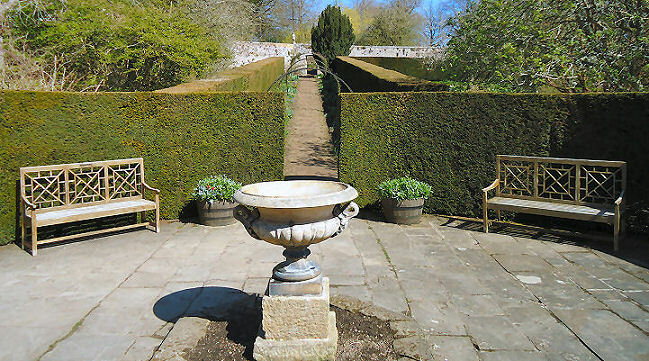 You walk downhill through a wooded area which has lakes and meandering paths until you find the entrance to the walled garden which was once used as a vegetable garden. Presumably the owners of the house didn’t want to see where their food was grown or the men who did the work as it is quite a distance. The walled garden site is relatively narrow as stately home sized gardens go but you continue on downwards with a few rooms to look into. 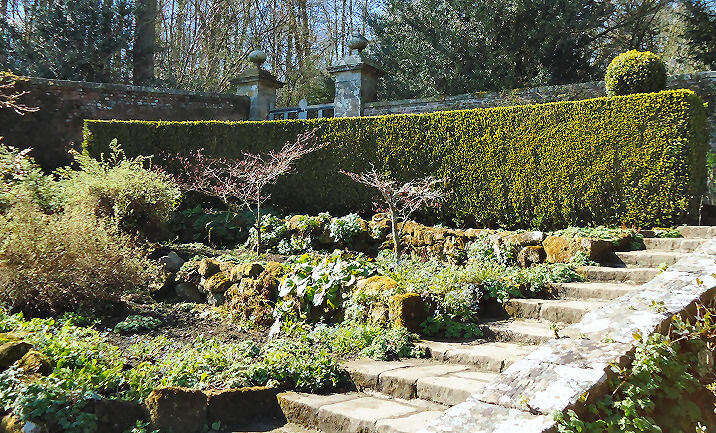 The whole is a great area to relax in and some visitors to Wallington just come to wander around the gardens and never see the house. 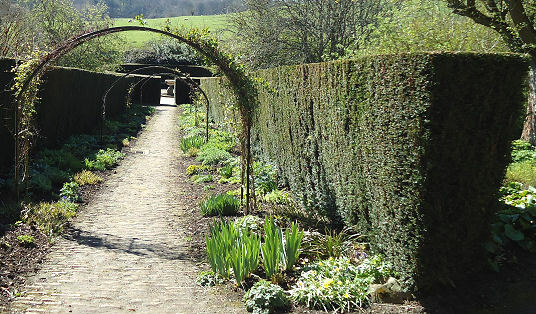 There are lots of ways to walk around the walled garden and you can find yourself not being able to decide which way to go. Eventually you get to the bottom of the hill and see the secret gate which is locked which provides a sense of mystery to the whole garden. On the upper terrace off to the left as you enter is a fascinating greenhouse, or more strictly a hothouse, with pools and exotics inside which is well worth the time climbing up to see. 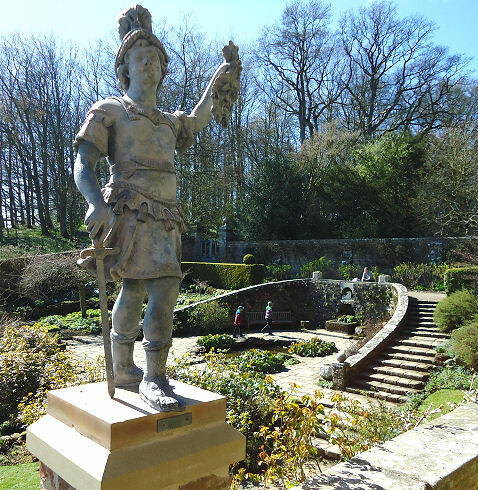 The terrace outside has a number of new statues of ancient and mythical heroes which enhance the drama of the place. 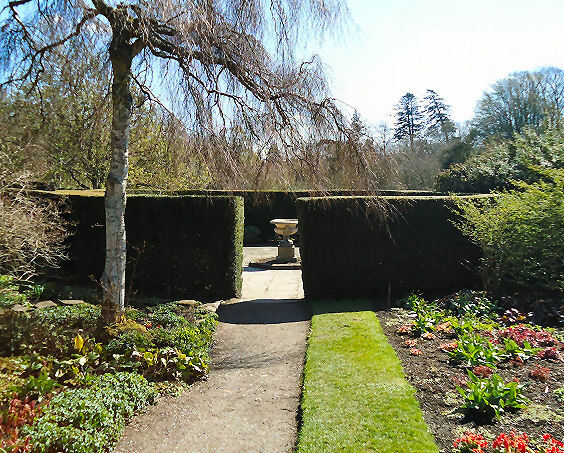 Above all the the yew hedges are simple but well kept dividing lines with only one ball to break the squareness.